It’s been a while since we had an update from Flat S, hasn’t it? 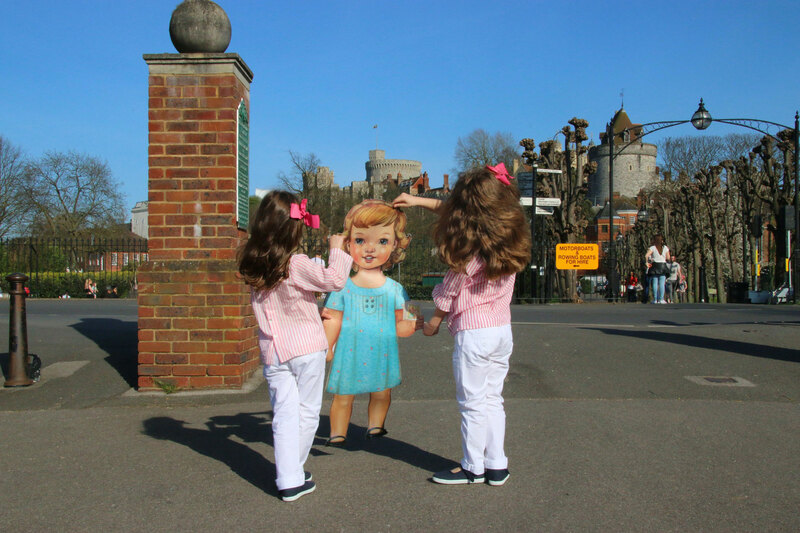 When last we heard from her, she had just departed Portugal after spending some time with Ana Sofia and her family. 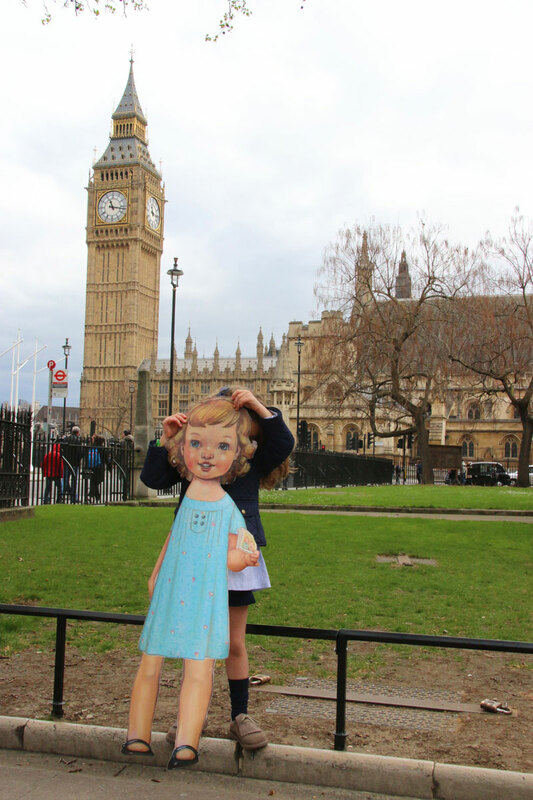 Well, it looks like Flat S made her way back to the UK and has been seeing the sites there with Maria and her family. Maria is originally from Portugal, but she has been living in the UK for the past two years. She has twin six-year-old girls, and she started sewing for them when they moved. 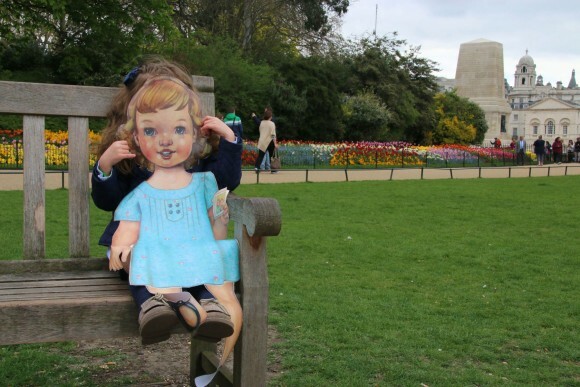 You can find out more about Maria and her sewing adventures on her blog, Fairies, Bubbles & Co. Here’s Maria. In March we welcomed a very important visitor, Flat S! Being big fans of Oliver +S (me making the clothes and my daughters wearing them), we really wanted to take her to visit some of our favourite places straight away, but we had to wait because the weather wasn’t cooperative, a logistical failure that wasn’t under our control. 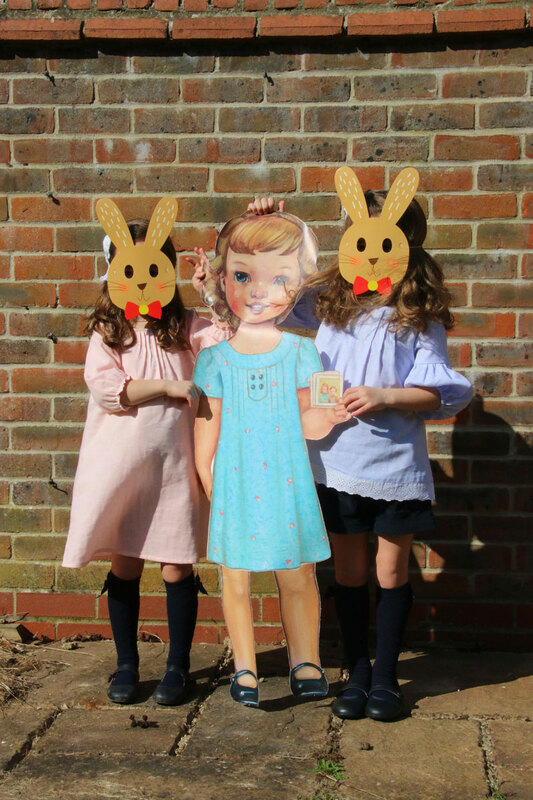 Finally the weather got much better, just in time for Easter, and Flat S joined the girls in the egg hunt. They all got too many sweets. 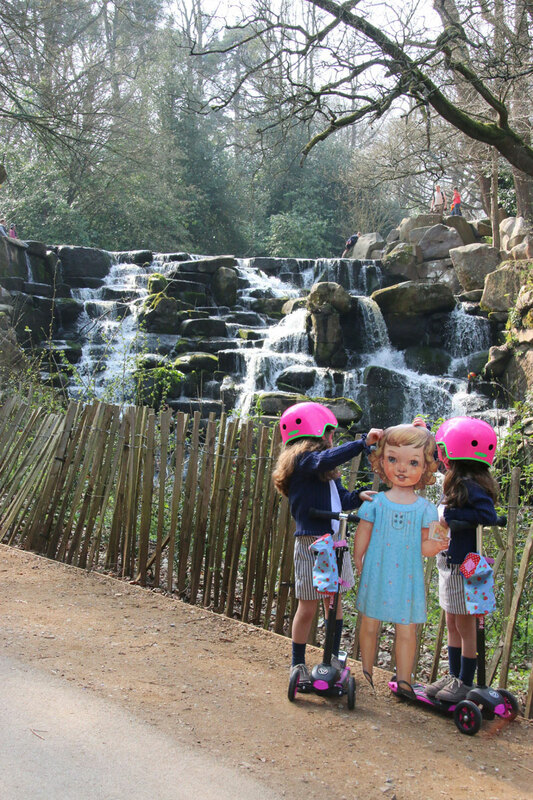 To take advantage of the good weather we went to one of our favourite parks for a scooter ride. 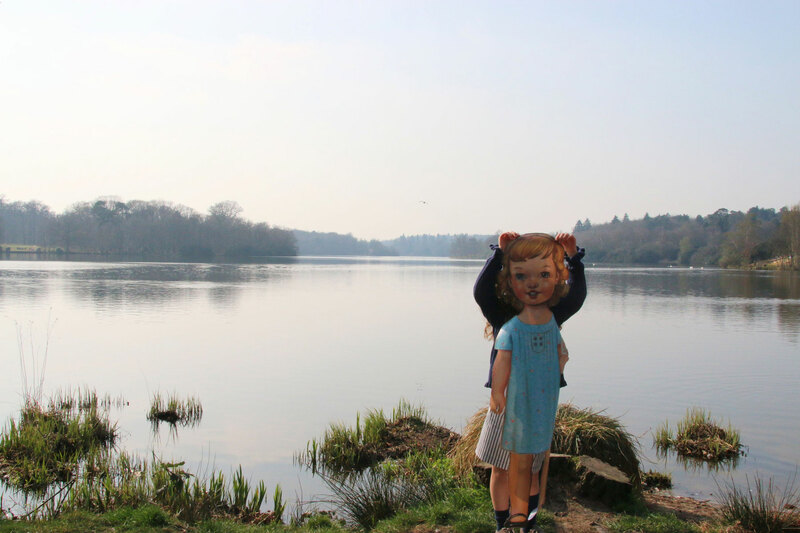 The park is in Virginia Water and is a beautiful place with a lake, water cascade, Roman ruins, a totem, and an amazing landscape that make it perfect for a nice walk or even a picnic. 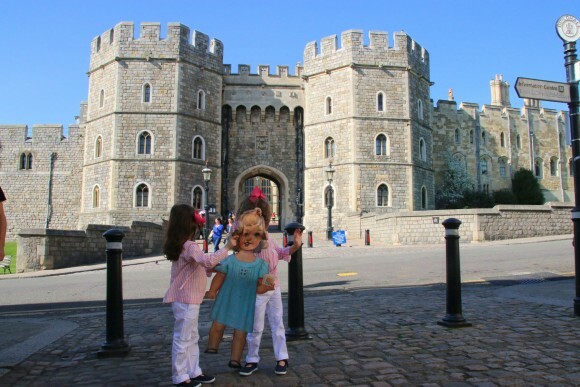 We also went to Windsor, to visit Windsor Castle which is the oldest and largest occupied castle in the world and the official residence of the Queen. In fact, on the day we went the Queen was in the Castle. Can you spot the flag on the tower? That means that the Queen is there. 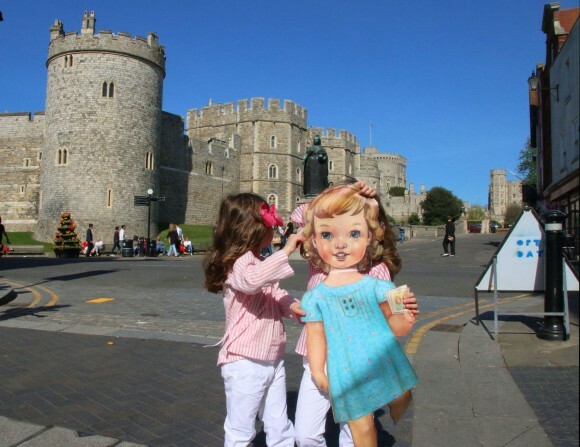 But Windsor is not only the Castle, it’s also a picturesque city perfect for a walkthrough of the streets and railway station. 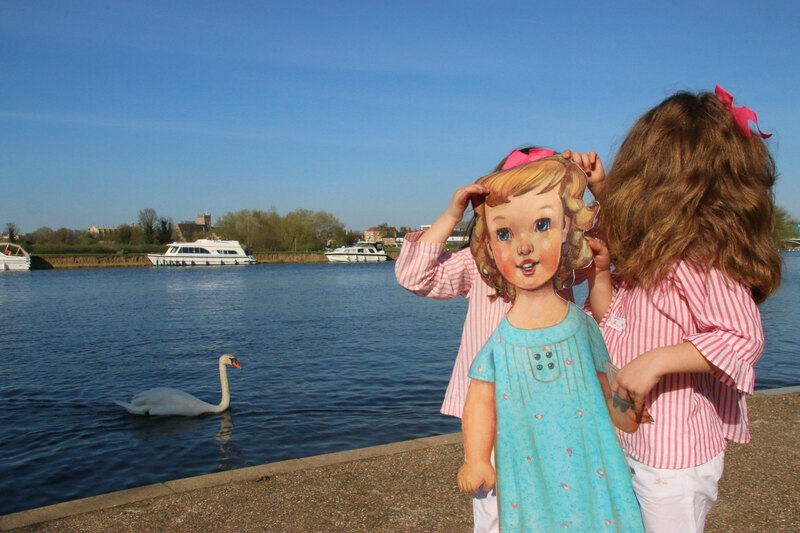 Or for a relaxing walk in the park on the banks of the River Thames. 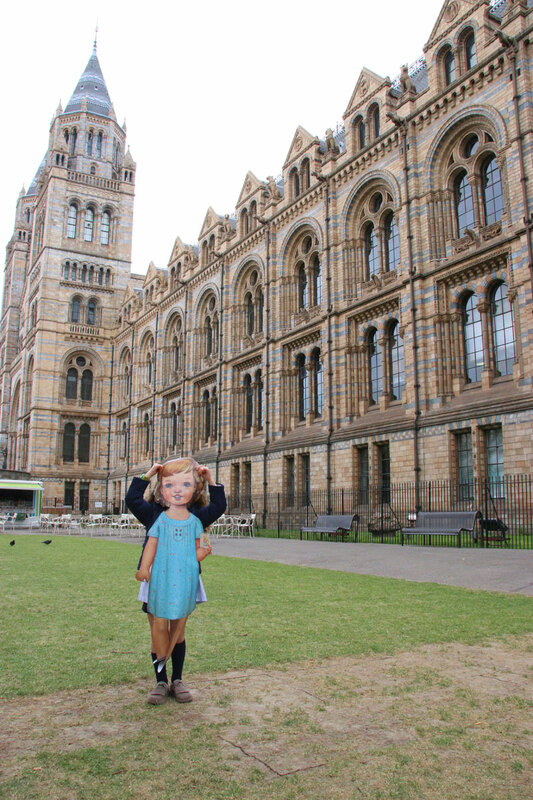 We didn’t want Flat S to leave without visiting London, so to start we went to the National History Museum, which is one of our favourite places. Curiously, the day before we arrived it was 134 years since it opened to the public for the first time. 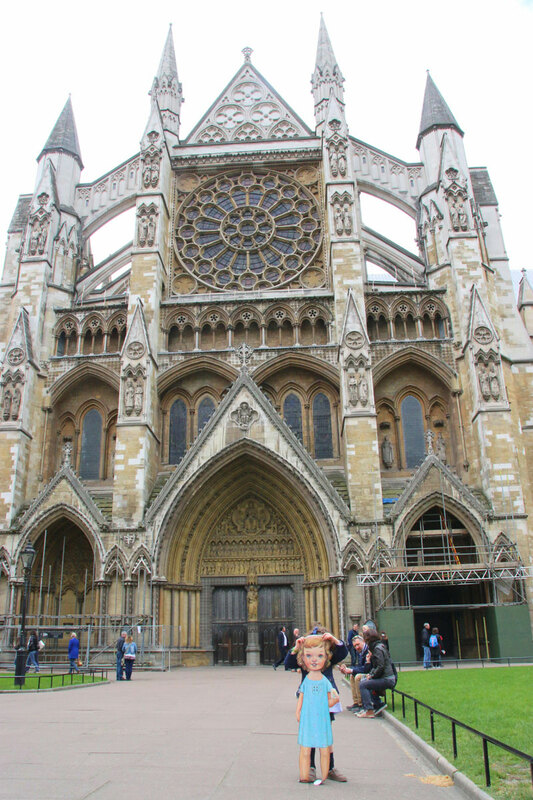 After the Museum we went to visit Westminster Abbey and of course Big Ben and the Houses of Parliament. Well, we didn’t actually see Big Ben but we heard it pretty well. We kept going through St. James Park, were we saw some of the many bird species that live there while having a break and resting for a while. 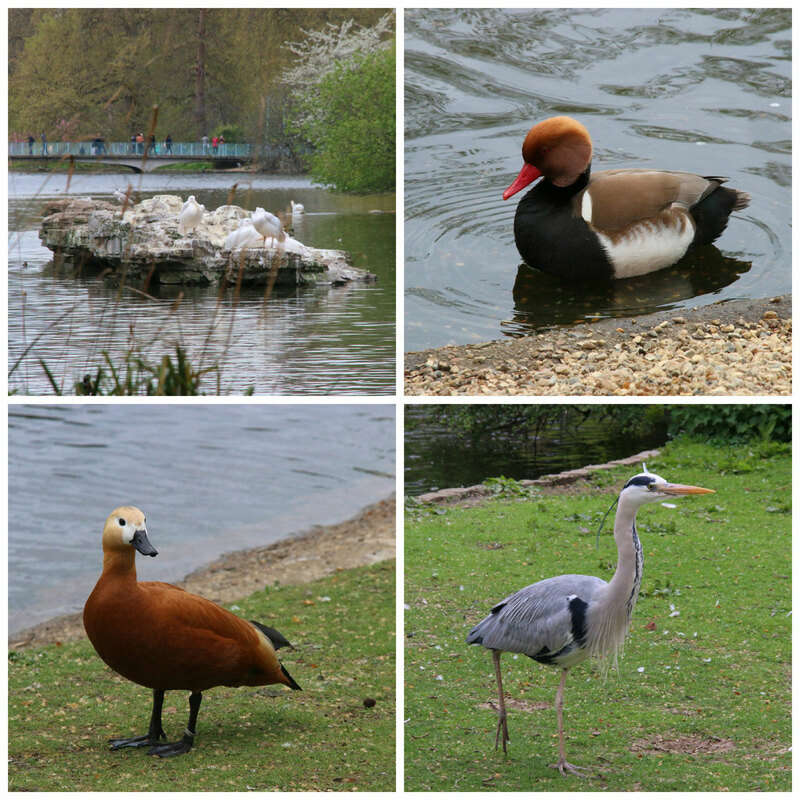 Some of the species that can be found are pelicans, herons and of course ducks, right in the middle of the city! 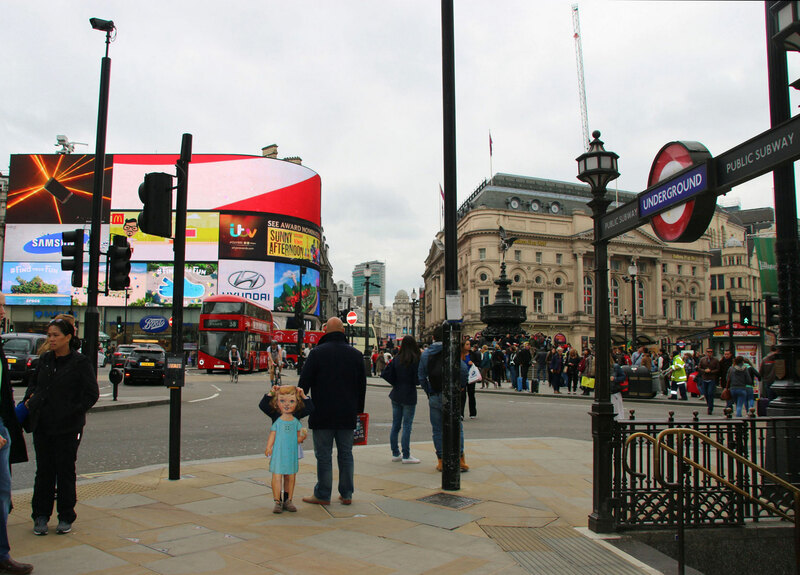 After charging the batteries, Flat S asked to go to one of the most famous and busiest places in London, Piccadilly Circus! From there we all went through the theatre streets (too bad we didn’t get to see a musical!) 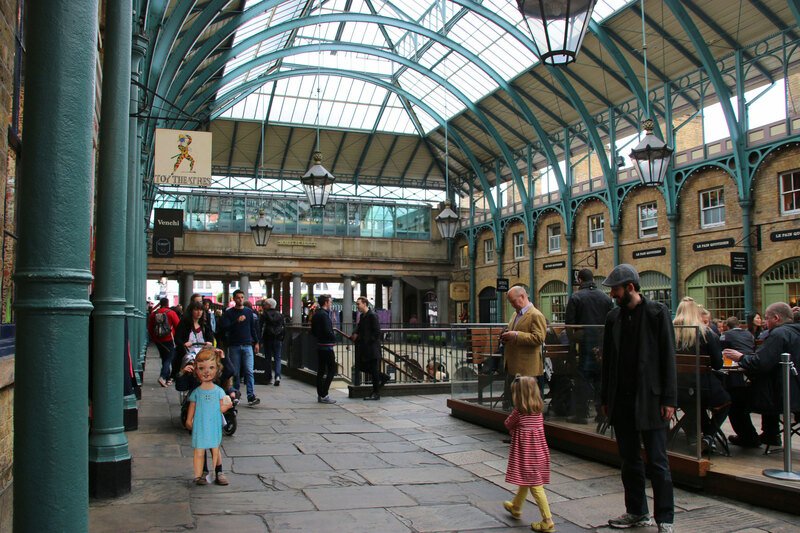 until we reached Covent Garden where we walked around the streets and went to the Covent Garden Market. This was actually a market built in the 1830s and reopened as a shopping centre in 1980. It has craft stalls alongside some fancy stores, nice places to eat with the usual atmosphere. 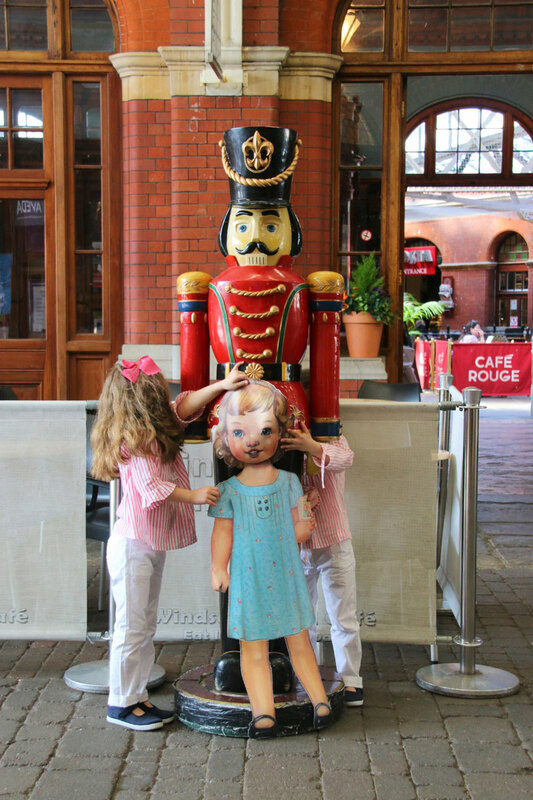 M loves when there are some violin players, and F is a fan of the living statues that are always outside. 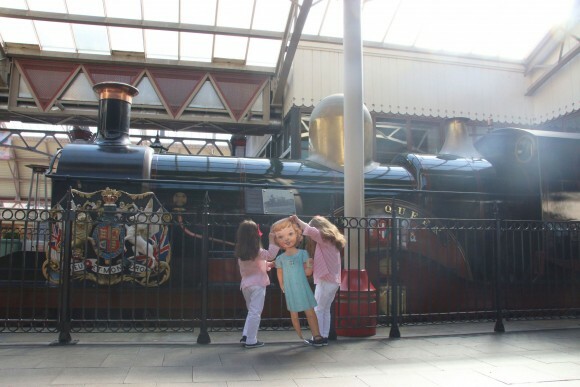 Flat S also enjoyed being there, and as you can see in the photo some other little girls also wanted to greet her. We really hope Flat S enjoyed the stay; we sure did. I’m certain that Flat S will enjoy her visit with her next host family. Bye, Flat S! It was nice to have you with us and you are always welcome back! Thank you, Maria. It looks like Flat S had a great time. As always, we can’t wait to find out where she is headed next. And yes, Flat S wanted to go to Liberty and do some shopping, but unfortunately it was not possible 😉 maybe some other time?! I love Windsor! I lived there for a year as a child. The castle is amazing! 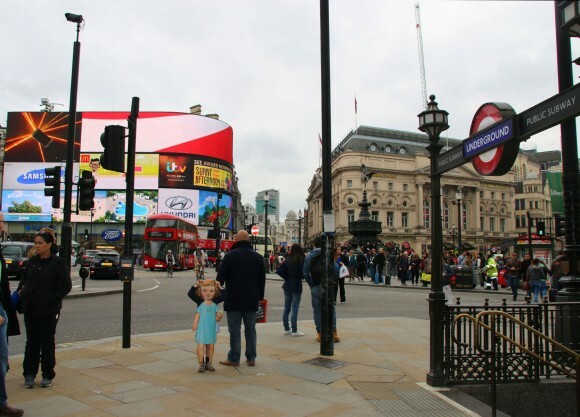 I knew we should have gone with Flat S in the first place when we send her over to London … I never get tired of London (and I still haven’t been to Windsor). Looks like a lot of fun was had by all!!! What a packed day….from beginning to end! !